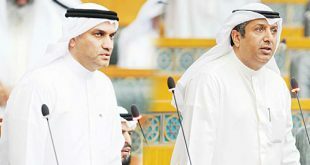 KUWAIT CITY, Oct 8: MPs Riyadh Al-Adsani and Abdul Kareem Al-Kandari on Sunday submitted an interpellation request against State Minister for Cabinet Affairs and acting Minister of Information Sheikh Mohammad Al-Abdullah Al-Sabah to the Office of the National Assembly Speaker. In a statement after submitting the request, Al-Adsani clarified the minister is a good person but he is not exempted from questioning due to failures in the ministries under his supervision. He said the number of failures increased during the term of the incumbent information minister. On the other hand, Al-Kandari pointed out the grilling request confirms that lawmakers are keen on playing their oversight role. He wondered why some of his colleagues were surprised when the request was submitted. 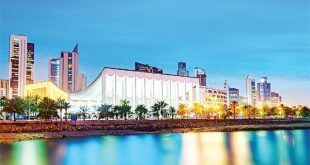 He asked if it is logical for the government not to respond to the query on the legal form of Kuwait Chamber of Commerce and Industry (KCCI). He inquired if the chamber is a shadow government, asserting that every citizen has the right to know the role of KCCI in taking decisions related to the economy. He alleged there is a group consisting of the minister, Fatwa and Legislation Department and the Central Tenders Committee (CTC); indicating everyone is aware of the minister’s interference in the CTC. 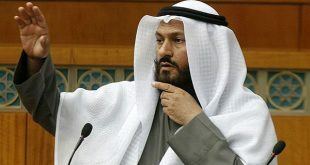 He said the Fatwa and Legislation Department is looking for 17 foreign advisers while rejecting competent nationals because they do not want the people of Kuwait to express their opinions. 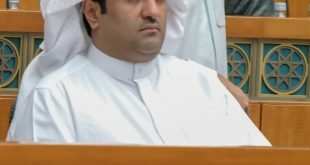 Commenting on the grilling request, MP Hamad Al-Harshani argued this is not the right time to submit such a request considering the current situation in the country and the region. 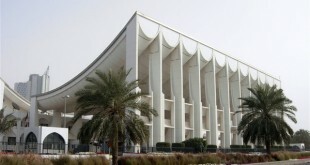 He regards the practices of some MPs as destructive and part of a charade, stating the interpellation requests target certain individuals in an attempt to weaken the government and the regime as it happened in the case of HH Sheikh Nasser Mohammad Al-Sabah and HH the Prime Minister Sheikh Jaber Al-Mubarak Al-Hamad Al-Sabah. He said some of his colleagues are just looking after their interests, they do not care about national welfare, and are trying to destabilize the country as if they have another homeland. MP Jaman Al-Harbash believes such interpellation requests are supported by certain parties keen on undermining parliamentary life and the Constitution. 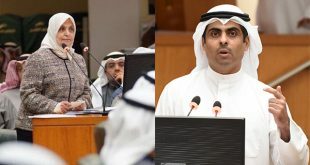 MP Safaa Al-Hashim asserted that if the minister is aware he is there to serve the people, he will work without thinking about retaining his seat. She intends to study the request and she will take a stand if she finds out it is related to the Civil Service Commission (CSC) and chaos in the Information Ministry. 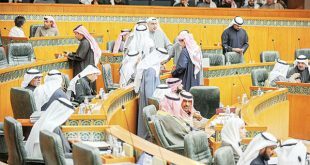 Meanwhile, MP Khalil Al-Saleh said the Directorate General of Civil Aviation (DGCA) administration’s decision to appoint an international investigation committee to look into the collision of an aircraft with a radar balloon is a constructive step in the investigation of aviation accidents and a positive precedent for the civil aviation sector. He explained this investigation, which is on par with international standards, is the first of its kind in Kuwait and it will be added to the merits of DGCA. He also praised the independence and neutrality of the committee whose members are from outside the civil aviation sector, in addition to four international members. He went on to say that widening the scope of the investigation and ensuring strict compliance with international laws are manifestations of the directorate’s commitment to uncover the truth in order to further improve the aviation safety measures.